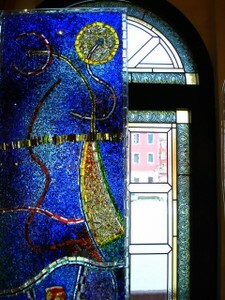 One more think many people think of, when talking about Venice: Venetian glass..! Venetian glass making tradition goes way back, but only got really known when the Venetian Republic, fearing fire and destruction to the city’s mostly wood buildings, ordered glass makers to move their foundries to the island of Murano, in the Venetian archipelago in 1291. 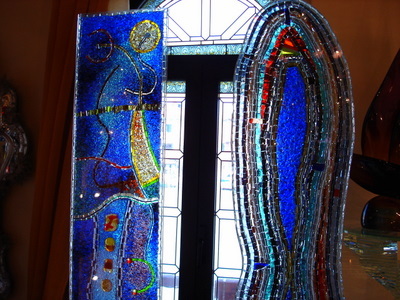 Murano's glass makers were soon the island’s most prominent citizens. By the 14th century, glass makers were allowed to wear swords, enjoyed immunity from prosecution by the Venetian state and found their daughters married into Venice’s most affluent families. The catch was that glass makers weren't allowed to leave the Republic. Murano’s glass makers held a monopoly on quality glass making for centuries, developing or refining many technologies including crystalline glass, enameled glass (smalto), glass with threads of gold (aventurine), multicolored glass (millefiori), milk glass (lattimo), and imitation gemstones made of glass. Today, the artisans of Murano are still employing these century-old techniques, crafting everything from contemporary art glass and glass jewelry to murano glass chandeliers and wine stoppers.